Whenever you travel to a new city, it’s always nice to enjoy the occasional fine meal out, but it’s always a great idea to break from the rich, decadent, and elegant dining experiences to go for something really simple. We’re talking food cooked from people that know their way around a kitchen, but don’t want to come across as showy. These incredibly simple establishments may not have the glitz and the glam of a fine-dining restaurant, but that doesn’t stop them from being top notch in the culinary world. If it’s a taste of Montreal you’re looking for without breaking the bank, you can stop your search with these no-frills eateries. 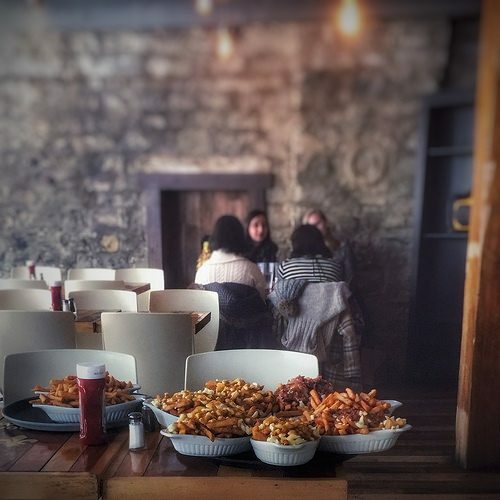 Whether you’re just taking some time to get away from school or have an occasion that brings you to Montreal, these restaurants should be high on your list of places to try. This is the kind of pub that people love to go back. 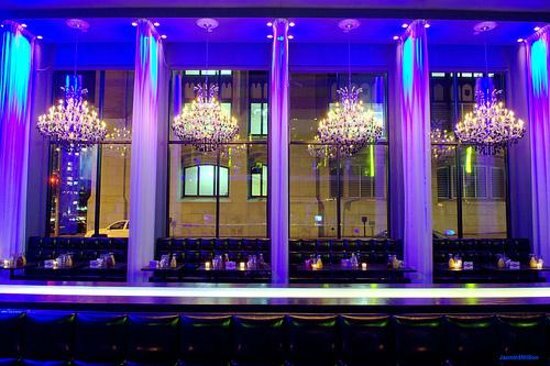 Two floors, loud music, good looking laid back crowds and all the drinks you can fathom. 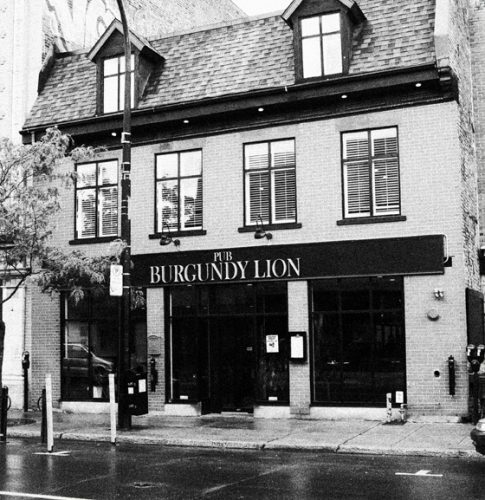 Located at 2496 Notre Dame in Little Burgundy near the Atwater Market of downtown Montreal, Burgundy Lion is open every night, and really busy on the weekend with live music every week. And drop by during the day for brunch or lunch, it’s definitely worth it! 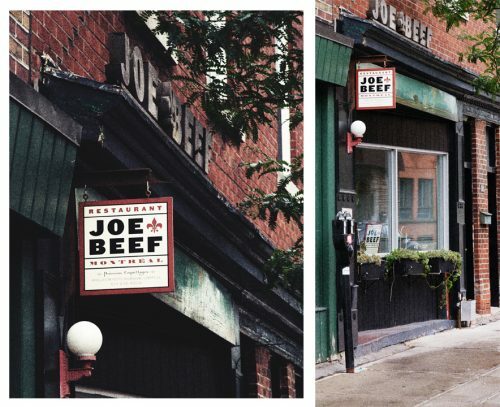 Joe Beef pays respect to Charles “Joe-Beef” McKiernan, 19th century innkeeper and Montreal working class hero who owned an Old-Montreal tavern, which closed in 1982. Well, chef David McMillan (formerly of Rosalie) took the name and aura and brought in down to Little Burgundy, across from the Corona Theater near the Atwater Market. Joe Beef is a smaller restaurant away from the glitzier scenes in the core downtown of Montreal. Oysters, fois gras and the succulent steaks are a must… as well as a reservation in advance. Open from Tuesday through Saturday at 2491 Notre-Dame West. The new terrace also features a vegetable garden that is the source of many of those stunning veggies on your plate! 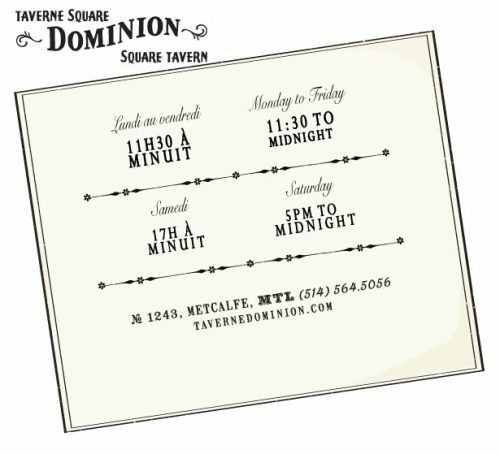 So the word on the street is Taverne Dominion has what it takes to be an incredible restaurant! The menu isn’t very pricey, and it’s located on Metcalfe in a historic/heritage building. Go for the pig knuckles or the mussels, both of which will require a pint or two. 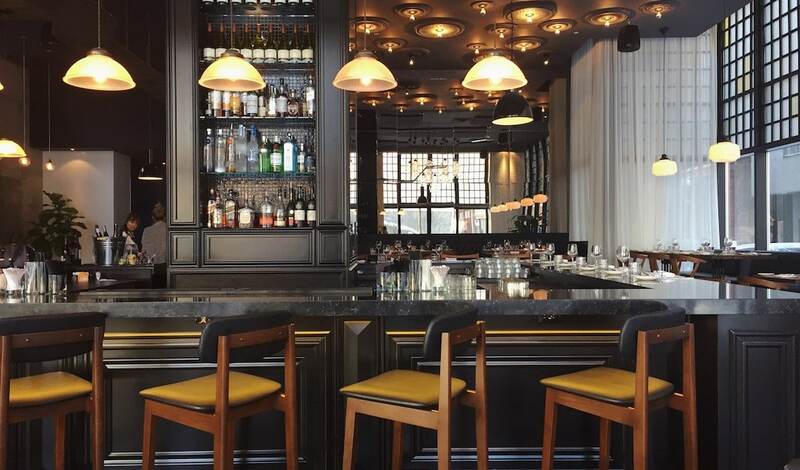 Unpretentious yet classy, Taverne Dominion offers an A-1 take on brasserie food while giving you all the required ingredients for a true tavern experience. Located at 1243 Metcalfe in downtown Montreal. Montreal would not be the same without St-Viatuer Bagel, their bagels being the best in the world (all continents included). They may have a lifelong battle for the claim with Fairmount Bagel, but the sweet, soft bagels are so classic and tasty, nothing can ever go wrong at St-Viateur Bagel. Obviously located on St-Viateur West at 263. With a culinary background including some Gordon Ramsay love & Montreal’s number one ranked restaurant on TripAdvisor, co-owner Marc Cohen (chef) teamed up with co-owner Ethan Wills (manager) to mesh the gastro-pub Brit flavors with NYC restauranteur flair. From brunch to 3 am, Sparrow is a busy spot in a famed locale (previously home to Mile End Bar) with multiple floors and a warm “Canadian” decor. 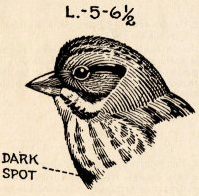 We dig it, especially the snack food during bar hours. Home to local scenesters but definitely the “I’m not trying” crowd. Great spot to eat + drink without the hoopla further down St-Laurent Boulevard. 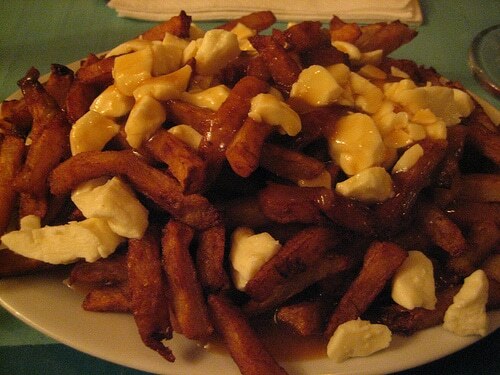 Located at 5322 Blvd St-Laurent in the Mile End district. Ever stroll down Prince Arthur Street in the Plateau? The pedestrian-only street features restaurants, bars and live venues such as Cafe Campus. The latest instalment on the street is Cafe Saporoso, on the corner of Coloniale and Prince Arthur. 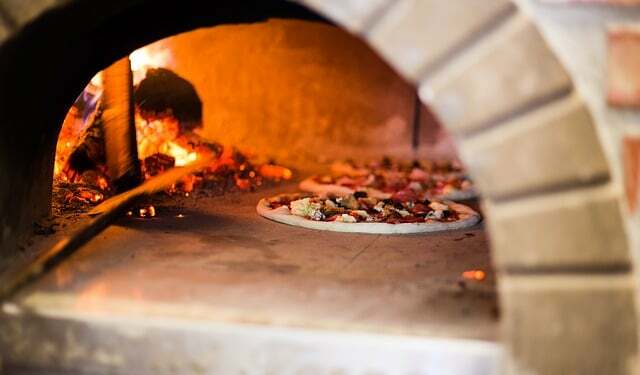 Family-owned by local Italians, the food and coffee are exact in reference to the recipes and delicious tastes of the home country and it’s region. 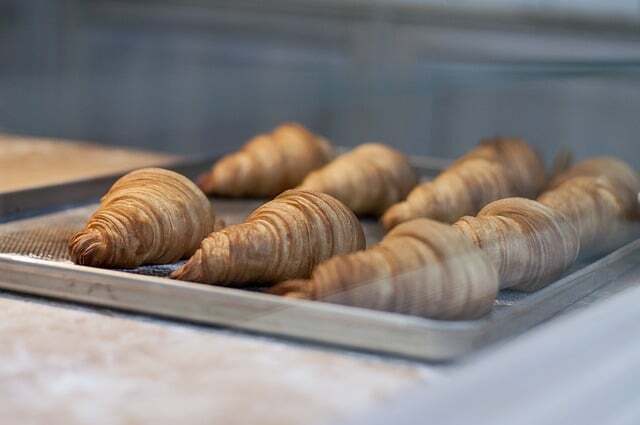 Open from morning to night, Saporoso offers a great breakfast sandwich and other delicacies in the morning, followed by a daily-fresh lunch menu including pastas, pizzas and sandwiches. Dinner is casual and perfect before a night out on the town. All the flavors on the menu are a MUST-Try. Personal favorites including the chicken-cutlet burger, any of the pastas of the day (last time I had fusili with peas and a meaty sausage sauce). They have the cappuccino perfected and the machiado is definitively mastered as well. Aside from the standard soccer games on the flatscreen above the coffee bar, Cafe Saporoso also has a piano sitting pretty in the front window. And if you’re lucky enough. Pasquale D’Alessio, the younger brother of managing-owner Nicola, is a trained tenor musician and will sit down on Friday mornings to play classic to current songs for the coffee rush. It’s really special to hear him sing and play the piano. On hot summer evenings, Pasquale will sit outside on the front terrace with a guitar on his lap and take requests on command, but only if you know him! Cafe Saporoso brings a new, subtle and much needed flare to Prince Arthur Street. With touristy, bring-your-own-wine restaurants dotting the street, Saporoso offers genuine tastes, quality coffee and a friendly atmosphere for the masses. Found @ 80 Prince Arthur E. Would you like more information? A local haven for grilled chicken at its best, and don’t expect candles or music. If anyone can recommend a better place to have grilled chicken and patatas (Portuguese style French fries), the Doctor will retire on point. 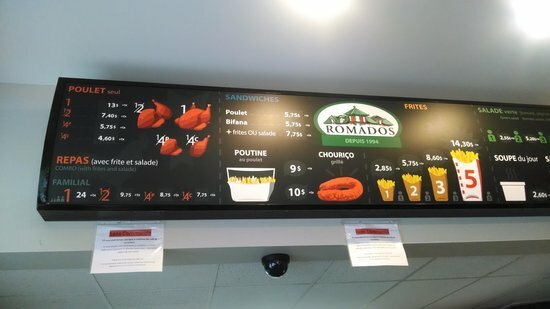 Romados is located in the Portuguese part of Montreal (Rachel Street in the Plateau) and is a bakery that opened up a grill section where you can get a chicken, pork or beef sandwich without hesitation. Lineups can be ten minutes long at any given time and finding seats are few to none, but well well worth it. Address is 115 Rachel East.